Beauty Blondie: Find The New You, This New Year! For some January 1st is just another day, but for me it’s kind of like a second chance. I would like to share something with you that is very important to me. It wasn’t until a few years ago where I really took charge and achieved my goals and realized my dreams. I am ready to start over now! I am so excited to be starting this new year!!! Would you like to know what I am most excited about? It is 2012 and I am going to get healthier than I have ever been before! Can you keep a secret? In the beginning of 2009 I looked like this. I bet you would have never guessed that was me, would you? I tried a few different ways to lose weight, but nothing seemed to help. I still couldn’t seem to fit into my skinny jeans (Those jeans that sit in the back of the closet, that once used to fit. Remember those?). I was determined to get back down to a healthy weight again and was willing to do pretty much anything a try to get there. That is when I was introduced to the Cinch Inch Loss Plan! Someone truly dear to me showed me more of what Cinch had to offer and it changed my life!! I was reassured that this program was designed to help you to keep muscle you have, burn fat you don’t want, and lose inches you don’t need. It’s been clinically tested and customer proven. I am so thankful that someone had shared this opportunity with me now it is my turn to share it with you! 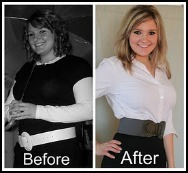 This was me just 4 months of being on the Cinch Inch Loss Plan! I feel so blessed to have been given a second chance to become healthy and I love to share it with everyone I know. 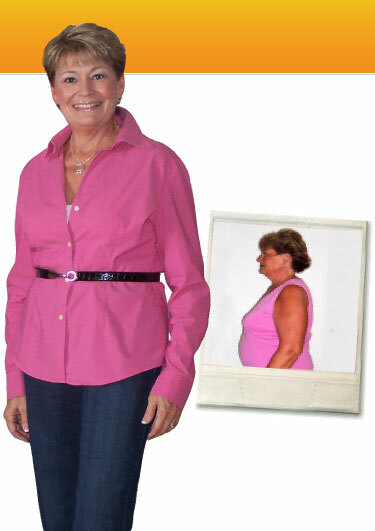 I know how effective the Cinch Inch Loss Plan is and how life changing it could be. Whether someone might need to lose 10 lbs or 100 lbs, I know that Cinch can help and if it doesn't, there is a 100% money back guarantee! That’s right! You don’t like it or it doesn’t work, YOU GET YOUR MONEY BACK!!! I know it almost sounds too good to be true but it is true and here are real people with real success to prove it! Inspiring others, one person at a time. I lost 63 pounds and 30 inches and was able to be active again. I feel engaged in life again, as if I have something to offer others. I want to help others with the struggle to a healthier life–it could actually help save lives! Like many new Moms, I told myself that it didn't matter what I ate, how I looked, or what size I was. I didn't think I would be thin anymore and I didn't think anyone else expected me to be, either. When I found out about the Cinch Inch Loss Plan, I had to try it. Cinch, plus my own determination to succeed, was a winning combination. Ten months later, I had lost 80 pounds! This is a dietary plan that is clinically designed to help you burn body fat while maintaining muscle mass. This picture shows 5 pounds of fat and 5 pounds of muscle. Which would you rather have? I know what I would choose! The Cinch weight loss breakthrough is our proprietary, clinically tested, leucine-enhanced formula. Cinch with leucine helps you keep muscle you have, burn fat you don’t need, and lose inches you don’t want. With Cinch, you have nothing to lose but inches. And everything to gain in a whole new life. Each week the inches and pounds came off and at the end of 12 weeks I lost 29 1/2 inches, 30 pounds, and dropped 3 1/2 sizes. My body fat lowered by 6%. Now I have lost even more. I went from an 18 to an 8, and my body fat dropped 8.3%. This isn’t just for women. Ladies make sure you tell all of your friends and family members who are looking for a safe and easy way to lose weight about this amazing program! I lost 40 pounds and 16 inches with the Cinch Plan and recently completed a 57-mile ultra-marathon in my fastest time yet. I felt strong all the way to the finish. Bonus offer! 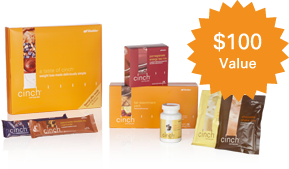 Join with a Cinch® Transformation Pack and get the Cinch Sampler Pack (an additional $100 retail value) FREE!! 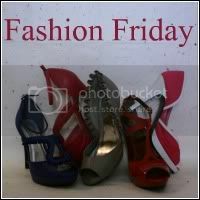 Hurry offer ends March 31st, 2012. Our best Cinch offer ever! Hurry, offer ends March 31, 2012. I hope I can help you get to your goal weight this year! 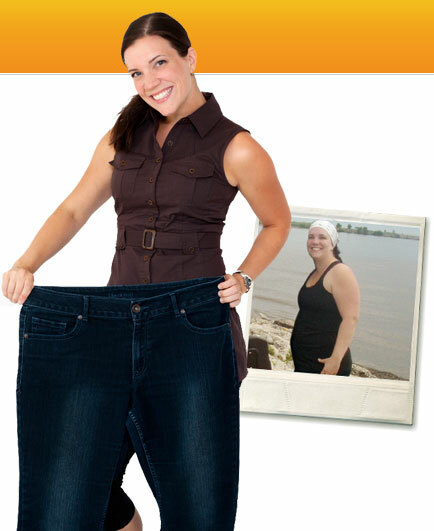 Do you or a loved one need to lose a few extra pounds or become healthier? Please don’t hesitate to ask for my help. I want to help as many people as I can this year to feel the way I have felt these past couple years! Make sure you subscribe to my blog to get he whole Cinch Inch Lose Plan sent straight to your inbox! Nice work girl! I used cinch to take off 50lbs of baby weight. Way to go Kayla! Doesn't it feel great? keep up the good work! So how did you lose the weight? You have Cinch an Inch in one area and Shaklee 180 in another?? ?